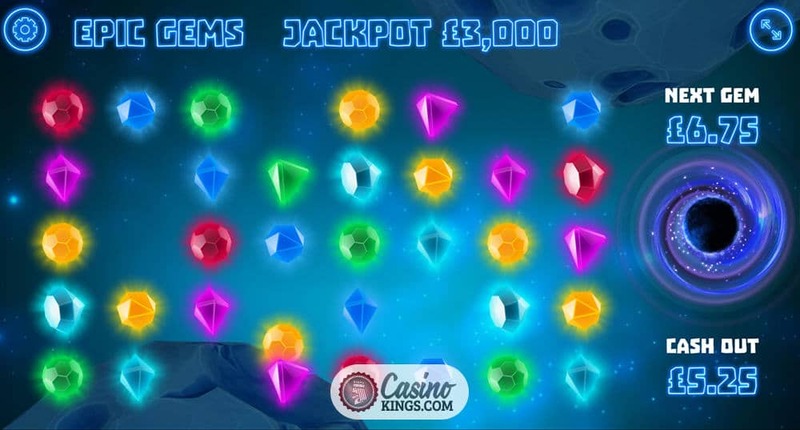 Here's a superb new online slots game from Gamevy and definitely a must-try. So, the aim of the game is to avoid the mines. If you find any mines, you lose your stake. No second chances. Once it’s gone, it’s gone. With that in mind, you should be careful about how much you’re willing to stake when you first start playing. The minimum stake is 1 coin which would potentially pay out a 2500 jackpot – but the more you stake, the higher the jackpot would be. The maximum bet is 25,000 coins but it’s probably best to have a good think before you go rushing in with that kind of collateral. You are, of course, given the option to cash out during the game. If you’re on a hot winning streak and you feel the need to just take the winnings you’ve collected so far, all you have to do is press the Pay Out button. This will stop the game and all the cash you’ve earned will be safe and secure in your account. When the game begins, you’ll get a chance to look over the rules just to make sure you know what you’re doing. After that, you’ see two arrows with a monetary value between them. This allows you to select the size of the bet you’re placing. Now, the main game will begin. 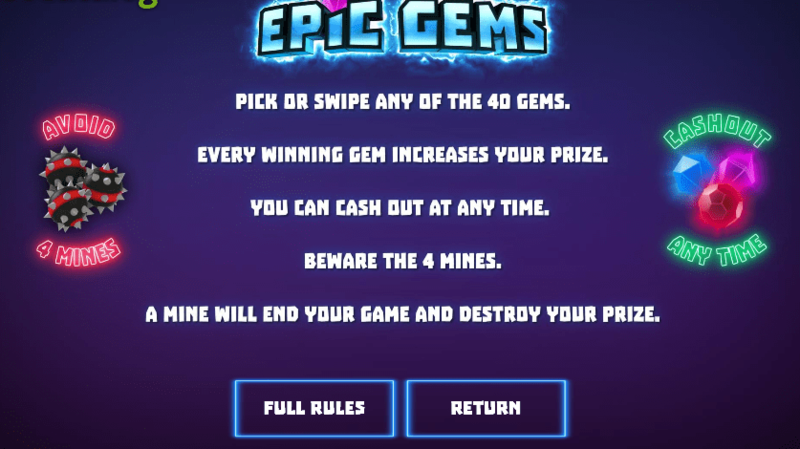 There are 40 gems. Four of these are fakes and therefore worth nothing, but seven of them could double your money. When you select a gem stone, it will disappear into the vortex and the value will be added to the total in your account. You can click on one gem at a time or select whole rows of gems at once – however you want to do it. Keep picking the right gems and you’ll keep adding to your total. Avoid the fakes and the mines and you’ll win a healthy jackpot. The unpredictability throughout the game creates an enormous amount of tension over whether or not you’re going to lose all of your money. This means that you’ll be on the edge of your seat throughout the experience. Aside from the exciting gameplay, it’s a well designed game in terms or graphics and visual stimulants. It’s got a very polished, slick space vibe to it, and on top of that, it’s pretty colourful because of all of the gems on the screen.